Any law school graduate will tell you that when picking your outline tool you need to pick the best because your outlines are the most important study tool you will use throughout your law school career. 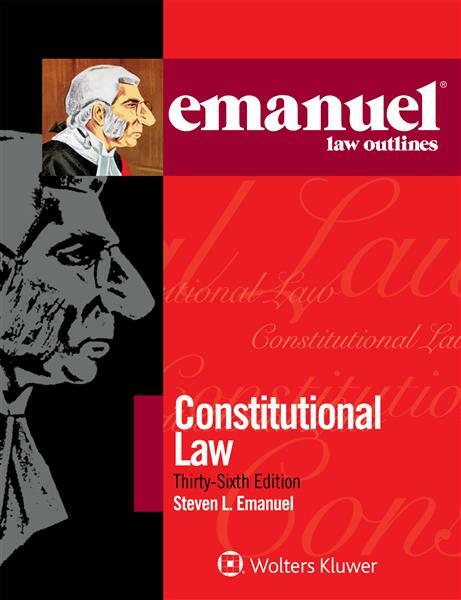 Developed by legendary study aid author Steve Emanuel, Emanuel® Law Outlines (ELOs) are the #1 outline choice among law students. ELOs help you focus on the concepts and issues you need to master to succeed on exams. They are easy to understand: Each ELO contains comprehensive coverage of the topics, cases, and black letter law found in your specific casebook, but is explained in a way that is understandable. The Quiz Yourself and Essay Q&A features help you test your knowledge throughout the semester. Exam Tips alert you to the issues and fact patterns that commonly pop up on exams. The Capsule Summary provides a quick review of the key concepts covered in the full Outline—perfect for exam review!